Kale is one of the healthiest vegetable around, it grows REALLY well in our climate and freezing it could not be easier! 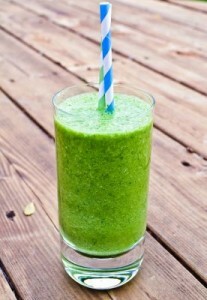 It is excellent in stir fries and about just anything you would put spinach or Swiss chard in. 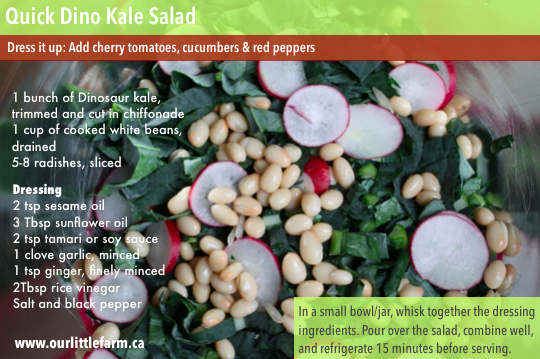 It’s delicious raw in salads (I see you frown here… We used to be skeptical too but DO check out our Kale salad recipe below). 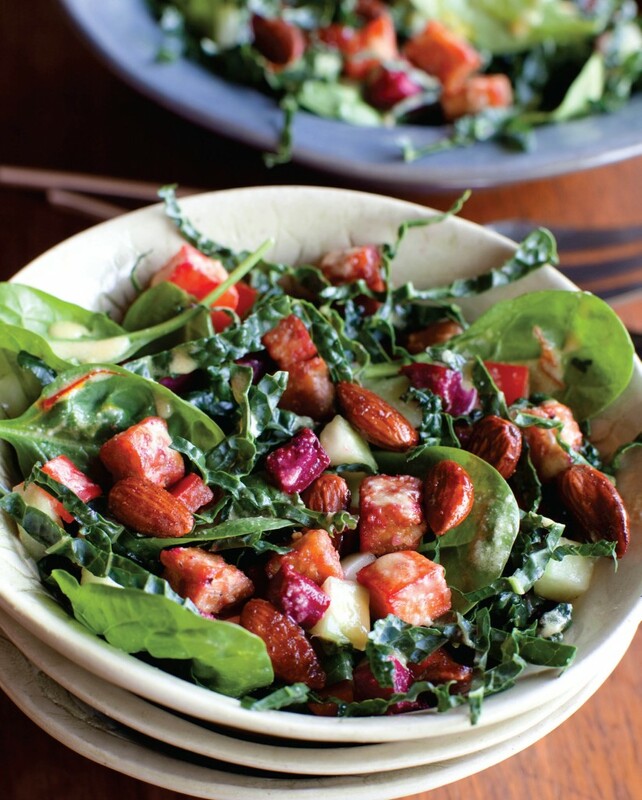 I was skeptical that I’d ever find a good kale salad but I must confess… I love this recipe. You can add any vegetable you like to this kale salad or just use what you have at hand. I often make this salad with just kale, cucumbers and almonds and forgo the roasted veggies if I don’t have time. You should also try using the dressing on other salads too (ex. : on Romaine with chickpeas, tomatoes and chopped nuts)… it’s really good. Line a large, heavy baking sheet with parchment paper. Toss the sweet potatoes and beets in a large bowl with the oil, garlic, salt and pepper to coat. Transfer to the prepared baking sheet and roast, tossing after 20 min until the yams are tender and browned, about 40 min. Let cool completely. Whisk all the ingredients together, except the oil. Gradually whisk in the oil to blend well and season to taste with salt & pepper. Toss the fresh ingredients in a large bowl with enough dressing to coat. Add the roasted vegetables and toss again, adding more dressing if necessary. Adapted from: Anne Gentry, Vegan Family Meals: Real Food For Everyone.